Willy formed his band in 2009 and his music career took centre stage when he was selected in a talent search audition at the Durban SABC to perform at the 2010 Fifa World Cup Fan Festival Stages in Durban. The judges were blown away by his performance and gave him more platform as a new talent. 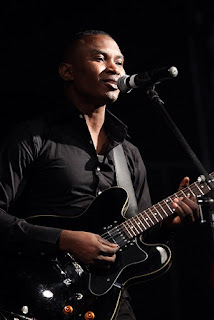 He also received an Award from the Department of Arts and Culture KwaZulu-Natal Eastern Region for a band search 2011 at the Pavilion, Durban. He has performed throughout Nigeria, South Africa and Australia. He is planning a debut single, followed by an album, later in the year. Willy and his band are exceedingly versatile and proficient to the core, a team with infinite experience from playing at various corporate functions and jazz festivals. The electrifying band offers original compositions and extensive mix of popular tasteful African music and jazz standards hits, front lead with jazz guitar stylings and warm; smooth vocals are perfect for adding more than a little class to any event. They will perform from 19h00 until late tonight (October 13) at Sound Café, Warne House, 5 Garlicke Drive in Ballito.